Grades: AISI 304, 304L, 316, 316L, 204ou etc. We are instrumental in offering electropolishing services which are used for micro- and macro-deburring and for removing metal ions from the high points on the surface without etching. The burr removal process is up to 20-times faster than stock on parts. 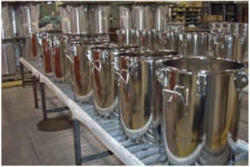 We offer Electro Polishing to cater to the requirements of various industries. This is a Polishing Process for surgical and non surgical item of stain less steel. Electropolishing Removes microscopic peaks and valleys which are haven for bacteria. A high quality electropolished stainless steel surface is microscopically featureless-eliminating millions of microprojections and depression sites where bacterial can hide from your sterilsation & filtration process. Banking on the skills of our qualified team of professionals, we are involved in providing Aluminium Electropolishing Service. 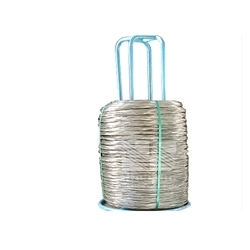 Being an eminent company, we are involved in rendering SS Electropolishing Service. Our company is specializing in offering customers a reliable Electro Polishing Service.